Do you remember your last customer service experience? Were you on hold for thirty minutes? Inadequate answers to your questions? transferred endlessly from department to department? Talk about frustrating! Bankers Surety has always provided exceptional service because we value and individually focus on each of our agents. Since 1976, we have been leaders in the industry because of our superior service, speed and accuracy. Who wouldn’t want a dedicated staff of experts to take your call 24 hours a day, 7 days a week, 365 days a year? 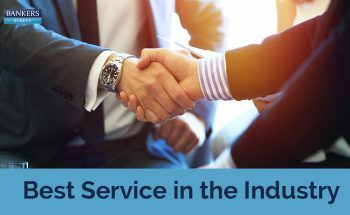 Bankers Surety is proud to keep their lines open, as we strive to exceed our agents’ expectations every day. We take pride in maintaining a powerful and strong partnership with all of our agents. How often do you see other companies creating a close relationship with their clients? Our commitment is clear -we will always be there for you whether it’s on the phone, in person or online. Sales might go up and down, but our superior service will stay forever. Call 877-815-5006 and see how our fast and efficient service can help you. Become an agent with Bankers Surety today! as І fоund thks paragraph att tһis website.